Please note this rightist opposition to war must be distinguished from the objections of Communist sympathizers or generic leftists to certain wars for ideological reasons. For example, George McGovern, who was a longtime Soviet apologist, protested the Vietnam War, while defending his own role in dropping bombs on helpless civilians in World War Two. For McGovern the “good war” was the one in which the US found itself on the same side as the Soviets and world Communism. Clearly McGovern did not object to American military engagements for rightist reasons. 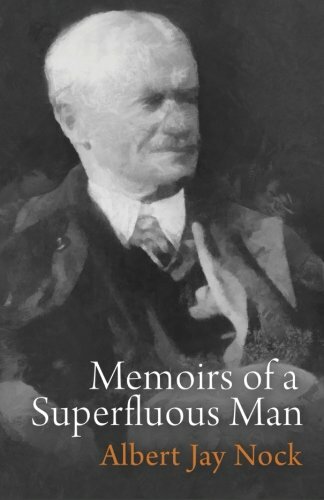 Memoirs of a Superfluo... Albert Jay Nock Best Price: $9.86 Buy New $14.50 (as of 08:00 EDT - Details) My own list of interwar American Rightists would include predominantly men of letters, e.g., Wallace Stevens, H.L. Mencken, George Santayana (who was Stevens’s teacher at Harvard and longtime correspondent), Robert Lee Frost, the Southern Agrarians, and pro-fascist literati Ezra Pound and Lovecraft, (if accept these figures as part of a specifically American Right). Although Isabel Patterson and John T. Flynn may have regarded themselves as more libertarian than rightist, both these authors provide characteristically American rightist criticism of the progress of the democratic idea. The same is true of the novelist and founder of the libertarian movement Rose Wilder Lane, whose sympathetic portrayal of an older America in “House on the Prairie” has earned the disapproval of our present ruling class. Many of our rightist authors considered themselves to be literary modernists, e.g., Stevens, Pound and Jeffers. But as has been frequently observed, modernist writers were often political reactionaries, who combined literary innovations with decidedly rightist opinions about politics. Significantly, not only Mencken but also Stevens admired Nietzsche, although in Stevens’s case this admiration was motivated by aesthetic affinity rather than discernible political agreement. This occasions the inevitable question why so many generation defining writers, particularly poets, in the interwar years took political and cultural positions that were diametrically opposed to those of our current literary and cultural elites. Allow me to provide one obvious answer that would cause me to be dismissed from an academic post if I were still unlucky enough to hold one. Some of the names I’ve been listing belonged to scions of long settled WASP families, e.g., Frost, Stevens, Jeffers, and, at least on one side, Santayana, and these figures cherished memories of an older American society that they considered in crisis. Jeffers was the son of a Presbyterian minister from Pittsburgh, who was a well-known classical scholar. By the time he was twelve this future poet and precocious linguist knew German and French as well as English and later followed the example of his minister father by studying classics, in Europe as well as in the US. Other figures of the literary Right despised egalitarianism, which was a defining attitude of the self-identified Nietzschean Mencken. The Sage of Baltimore typified what the Italian Marxist Domenico Losurdo describes as “aristocratic individualism” and which Losurdo and Mencken identified with the German philosopher Nietzsche. 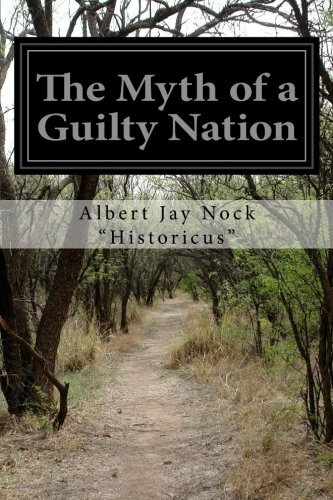 This anti-egalitarian individualism was easily detected in such figures as Mencken, Pound and the Jeffersonian libertarian, Albert J. Nock. These interwar rightists of various stripes took advantage of a rich academic-educational as well as literary milieu that was still dominated by a WASP patrician class before its descendants sank into Jed Bushism or even worse. These men and women of letters were still living in a society featuring classes, gender roles, predominantly family owned factories, small town manners, and bourgeois decencies. Even those who like Jeffers, Nock and Mencken viewed themselves as iconoclasts, today may seem, even to our fake conservatives, to be thorough reactionary. The world has changed many times in many ways since these iconoclasts walked the Earth. I still recall attending a seminar of literary scholars as a graduate student in Yale in 1965, ten years after the death of Wallace Stevens, and being informed that although Stevens was a distinguished poet, it was rumored that he was a Republican. Someone else then chimed in that Stevens was supposed to have opposed the New Deal, something that caused consternation among those who were attending. At the times I had reservations about the same political development but kept my views to myself. One could only imagine what the acceptance price for a writer in a comparable academic circle at Yale would be at the present hour. Perhaps the advocacy of state-required transgendered restrooms spaced twenty feet apart from each other or some even more bizarre display of Political Correctness. I shudder to think. But arguably the signs of what was to come were already present back in the mid-1960s. What was even then fading was the academic society that still existed when Stevens attended Harvard, Frost Dartmouth, though only for a semester, or Nock the still recognizably traditional Episcopal Barth College. Our elite universities were not likely to produce even in the 1960s Pleiades of right-wing iconoclasts, as they had in the interwar years and even before the First World War. And not incidentally the form of American conservatism that came out of Yale in the post-war years quickly degenerated into something far less appealing than what it replaced. It became a movement in which members were taught to march in lockstep while advocating far-flung American military entanglements. The step had already been taken that led from the interwar Right to what today is conservatism, inc. Somehow the interwar tradition looks better and better with the passage of time.